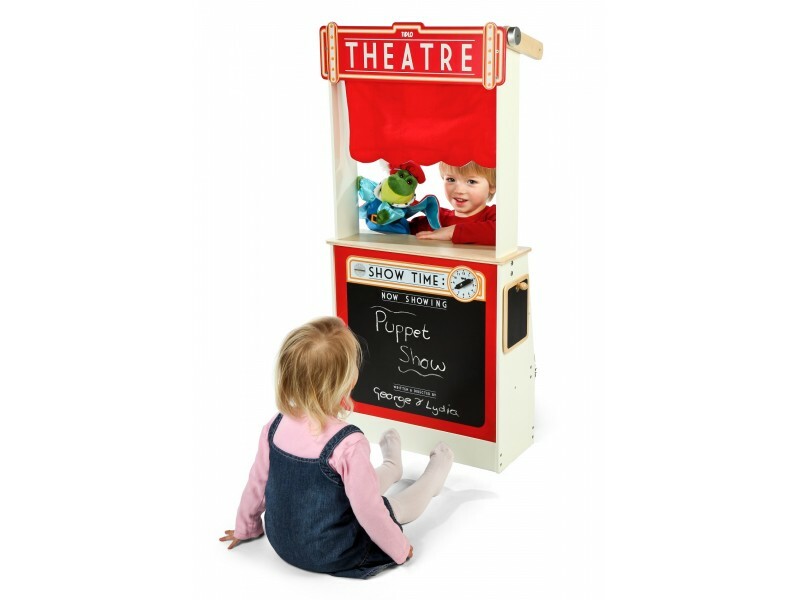 This 2 in 1 design Children's Wooden Play Shop & Puppet Theatre can be changed from a shop to a puppet theatre by raising up the theatre curtain with the rotating clicking dial and reversing the fabric to reveal the market stall roof. - 50 theatre tickets included to dispense through the ticket machine slot. 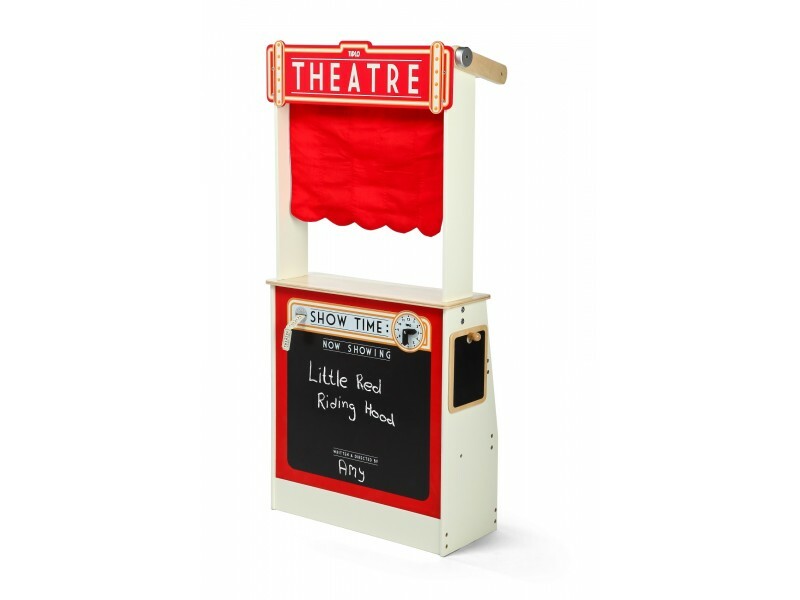 - Features a chalk board and clock to advertise the next play and show time. 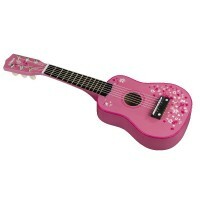 - The shelves can be used to store puppets and props during the show. - Market stall design with a fabric roof and countertop area. 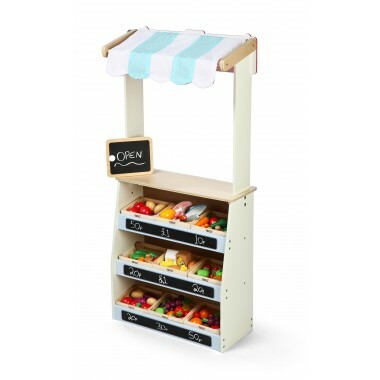 - Features three angled shelves that will take the food crates sold separately. 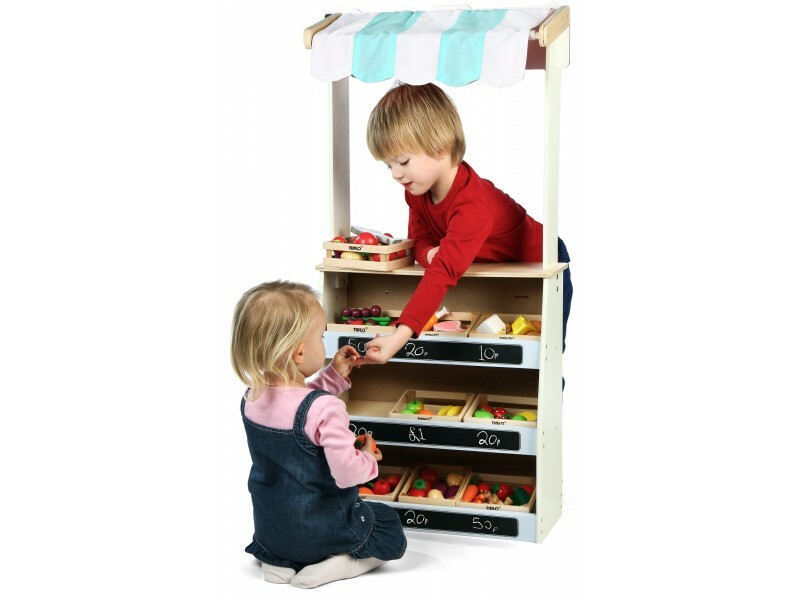 - Each shelf has a chalkboard panel to write the 'offers of the day'. Really like it. Perfect size for my small two year old, I'd say too small for my large 3 and a half year old. Only just room for a till on the counter. 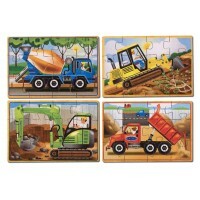 Good quality and sweet little product! 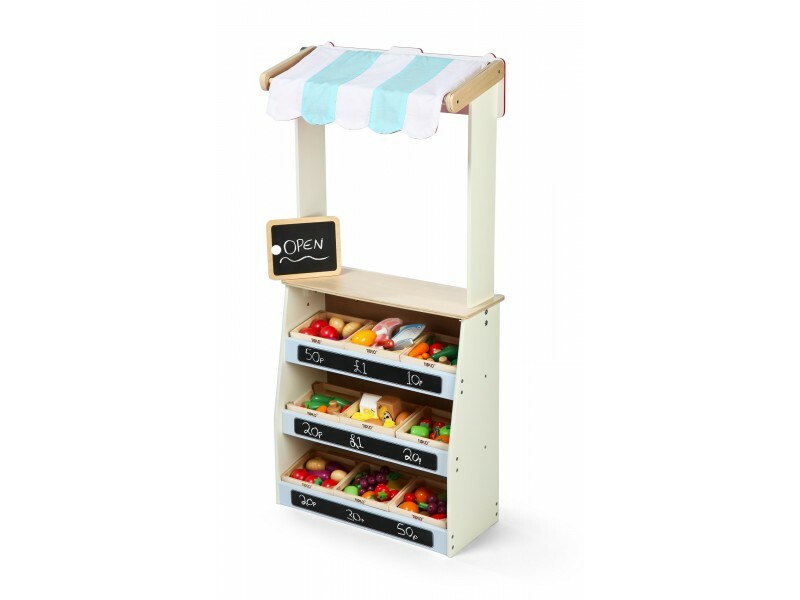 The Play Shop and Theatre is an excellent option for early learning since it combines imagination and creativity development with role play. 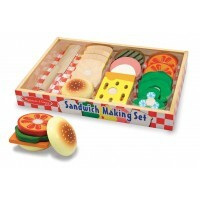 It can be used both for story telling and for acting out real life situations, such as shopping grocery!